March Madness is a phenomenon that grips the national sports psyche from the second week of March through the first week of April. March Madness is the moniker that is given to the National Collegiate Athletic Association (NCAA) Men’s and Women’s Basketball Tournaments. These tournaments determine the national champions of college basketball in the United States. March Madness was not used to describe the NCAA Basketball tournament until 1982, when Brent Musburger, a CBS reporter, used the term during the telecast of a tournament game. College basketball fans and the media have been using the term ever since. Many sports use a tournament format to decide their champion, including professional sports. The “Final Four” of college basketball refers to the semi-final round of the Division I Men’s or Women’s Basketball Tournament. In this round, there are four teams left, and two games are played to determine which two teams will head to the finals. The words “Final Four” belong only to college basketball. In fact, if you watch college basketball you will frequently hear the term, especially from CBS, which uses the phrase “Road to the Final Four” in its coverage. 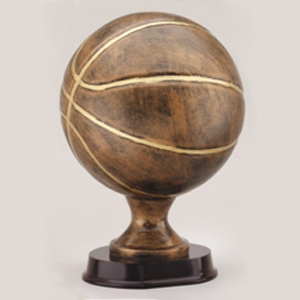 So it’s time to sharpen your pencil, get some friends together and make sure you have a “slam dunk” of a trophy for your March Madness winner.